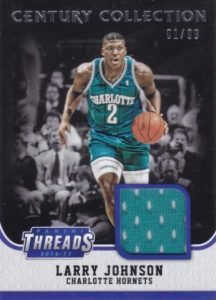 Returning from its recent retail-only run, 2016-17 Panini Threads Basketball is finally back as a hobby option. 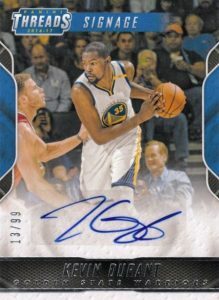 Hobby boxes each deliver one memorabilia card and one autograph. 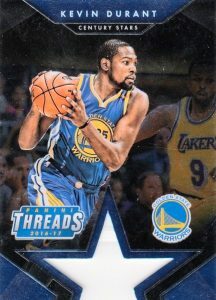 The base set in 2016-17 Panini Threads Basketball includes 50 rookie cards with another 30 first-year players featured in the Leather Rookies line. 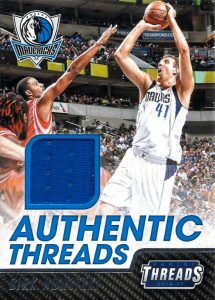 These textured, hobby-exclusive cards average 1:10 packs. A case hit, the chase Century Stars insert has a distinct look courtesy of a star design. 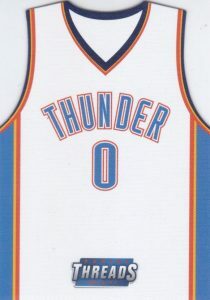 In addition, the familiar jersey-themed Team Threads Die-Cuts set is back again. 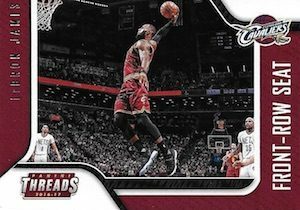 More choices come with as many as 10 additional insert sets that combine with parallels to fall in almost every pack. 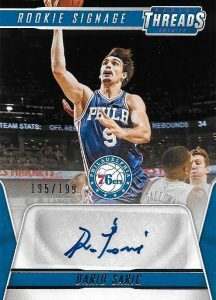 2016-17 Panini Threads Basketball also has hobby-only autograph inserts such as Signage, Rookie Signage and NBA Legends Ink. They come with Gold Proof (#/10) and Platinum Proof (1/1) parallels. 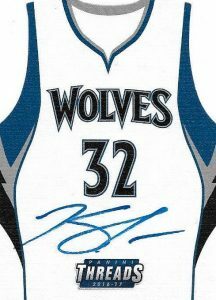 Other signed cards only found in hobby formats include Team Threads Die-Cuts Autographs and Team Threads Die-Cuts Rookie Autographs. Among the other hits, hobby is home to several exclusive memorabilia sets. 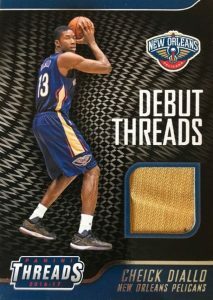 The options consist of Authentic Threads, Century Collection Materials, and Debut Threads, in both base and Prime (#/25 or less) editions. CENTURY PROOF PARALLELS: Dazzle, Holo, Red #/199, Dazzle Orange #/25, Dazzle Green #/15, Dazzle Purple #/15, Gold #/10, Platinum 1/1. 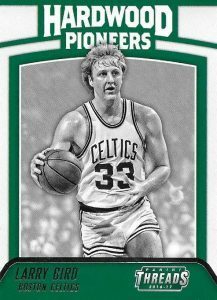 30 cards. 2 per hobby box. Shop on eBay. 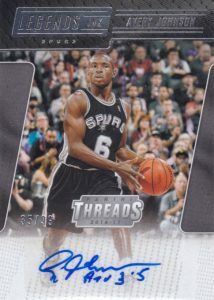 PARALLEL CARDS: Prime #/10 (*Chris Paul - #/5). CENTURY PROOF PARALLELS: Dazzle, Holo, Red, Dazzle Orange #/25, Dazzle Green #/15, Dazzle Purple #/15, Platinum 1/1. PARALLEL CARDS: Prime #/10 (*Barry - #/5, Johnson - 1/1). 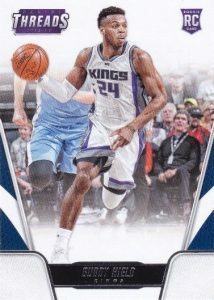 PARALLEL CARDS: Prime #/10 (*Chris Paul - #/2). PARALLEL CARDS: Century Proof Gold #/10, Century Proof Platinum 1/1. 33 cards. Serial numbered #/199. Shop on eBay. Is this product still going to be available at Target? 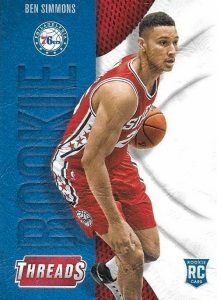 Just pulled a Ben Simmons Gold Proof RC #’d 5/10! Anyone have any idea of BV?